Happy Easter to everyone...looks like it will be a glorious day here in Asheville and I hope for you too. It's one of my favorite holidays - a perfect time of year, beautiful flowers - hyacinths and tulips, so much fun and great memories for me of Easter egg hunts, baskets and new Easter outfits for the kids for Easter services. So in the spirit of the holiday.... 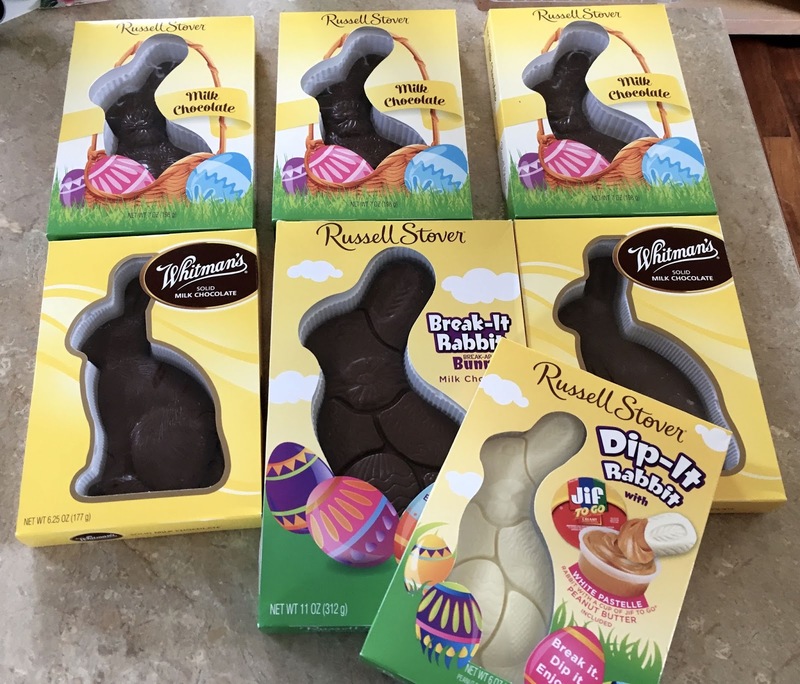 I decided to buy some big chocolate bunnies - one for my son in law who loves chocolate, one for hubby and one for me (of course). Well I couldn't fit my son in laws in the box with my granddaughter's basket - all being sent to Atlanta, so it's now mine. My husband informed me he started a diet...#2 might be mine and then of course, there's #3 which is really "mine". 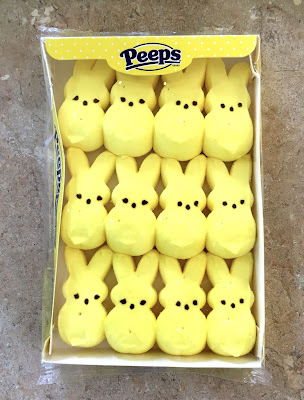 And then there's the Peeps....what is a holiday without Peeps, whether they be snowmen, Christmas trees, ghosts or the original yellow peeps. Peeps always remind me of my wonderful and very long time friend - Vita Marie who showed me the right way to eat peeps....YES, there is a right way. 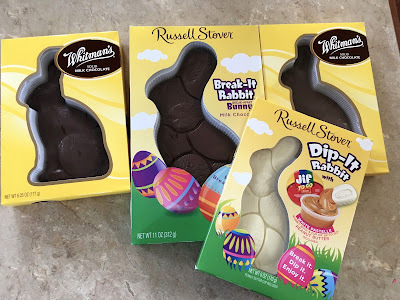 Upon bringing them home...do not open them but get a needle or pin and poke a lot of tiny holes through the cellophane...and now wait and wait. The small amount of air that gets in will create a little crisp on the outside and the inside remains soft! Perfect!...Thank you Vita! And to everyone, have a lovely day! Too much chocolate?? No worries….I’ll be right over!! So many bunnies! I bought none this year. Thanks for the tip on how to eat peeps! My blue front parrot LOVED peeps!!! I would buy them anytime of year they were on sale! 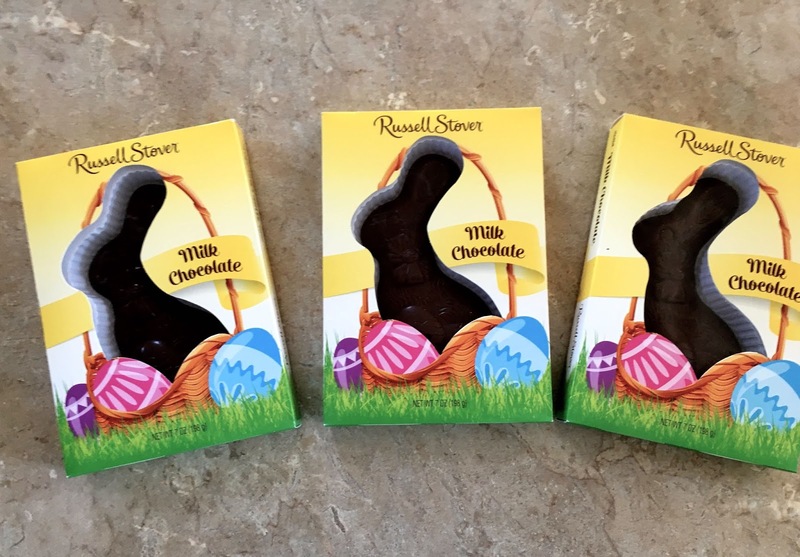 Of course, I would eat all the chocolate! It's bad for birds and puppies! HA Hope you enjoyed your Easter bounty!